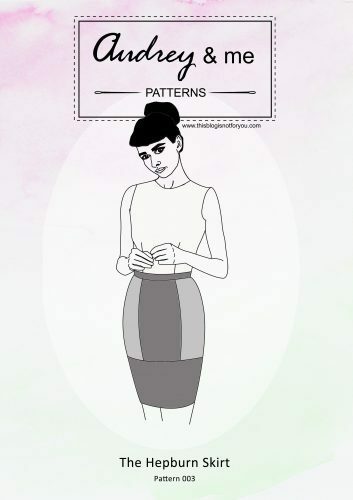 After making the pattern – here comes the fun part: the sewing. Note that you won’t need to add seam allowance any more. 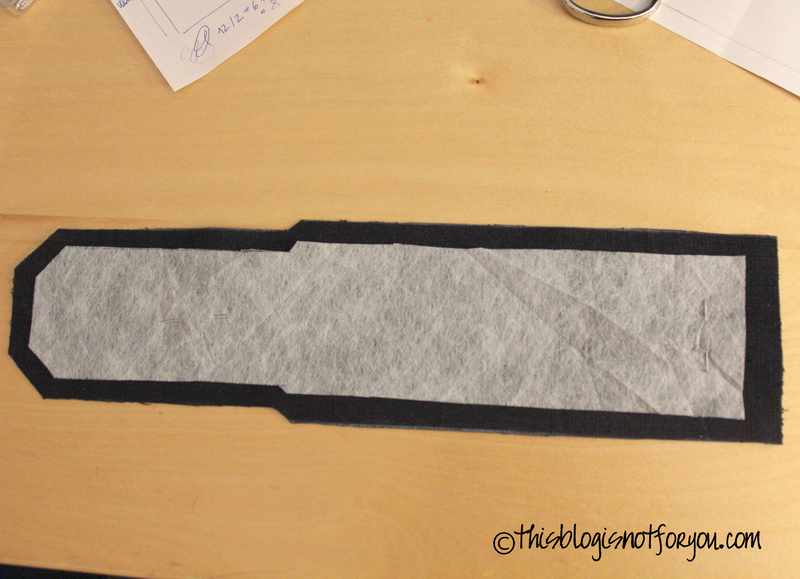 You will need two pieces for the outer and the inner fabric and one piece of fusible interfacing. 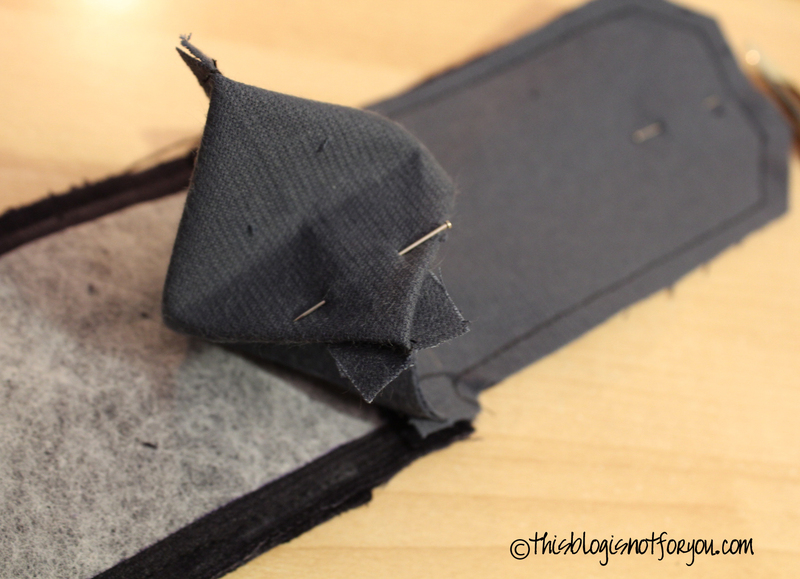 Before sewing outer and inner fabric together, don’t forget to apply the fastening. 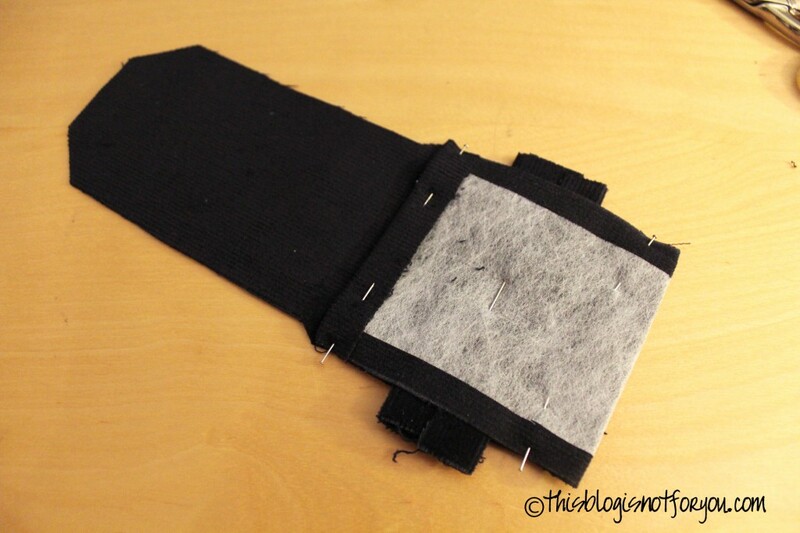 Find the right spot for Velcro, buttons, snap buttons by using your phone. 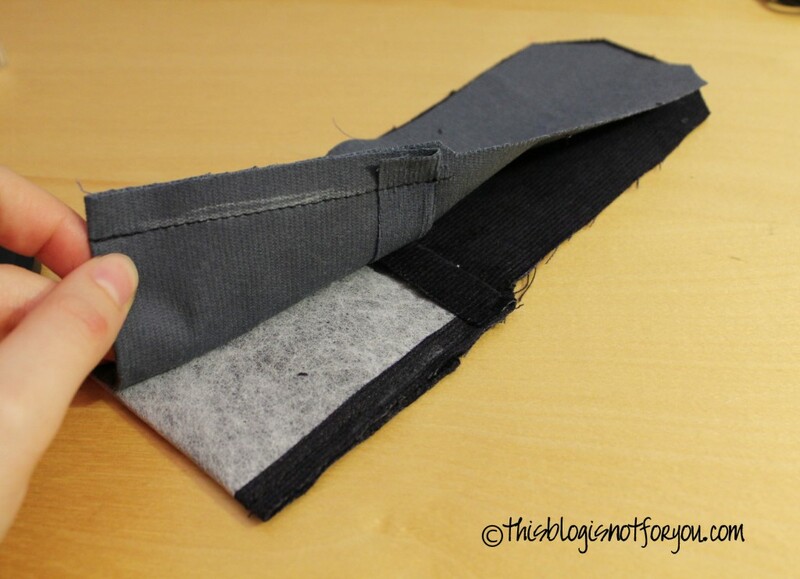 Put the cut-outs on top of each other and wrap them around the phone, mark the spot for the fastening on flap (inner fabric) and pocket (outer fabric). 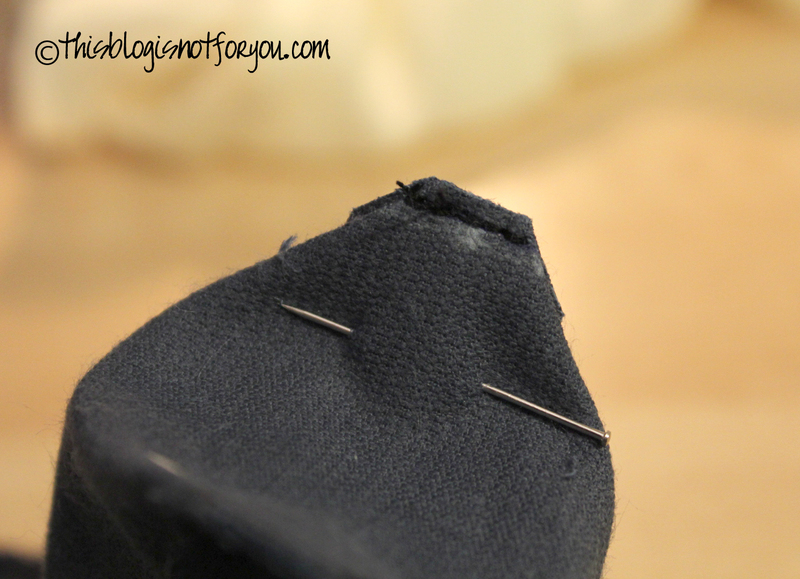 Sew the fastening on both inner and outer fabric. For the phone case with the little owls on it I used velcro tape. 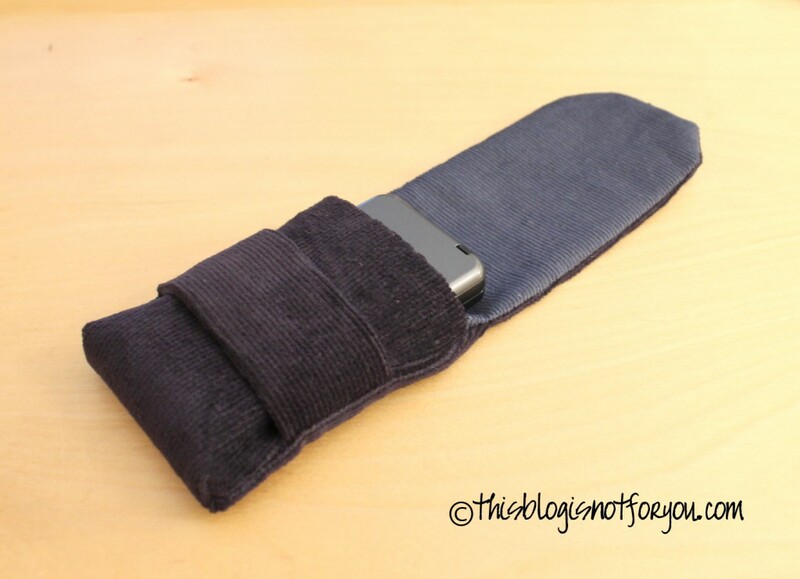 For the one in the tutorial I had to find something else, since I made it for someone else’s phone and didn’t have the phone to adjust the fastening. 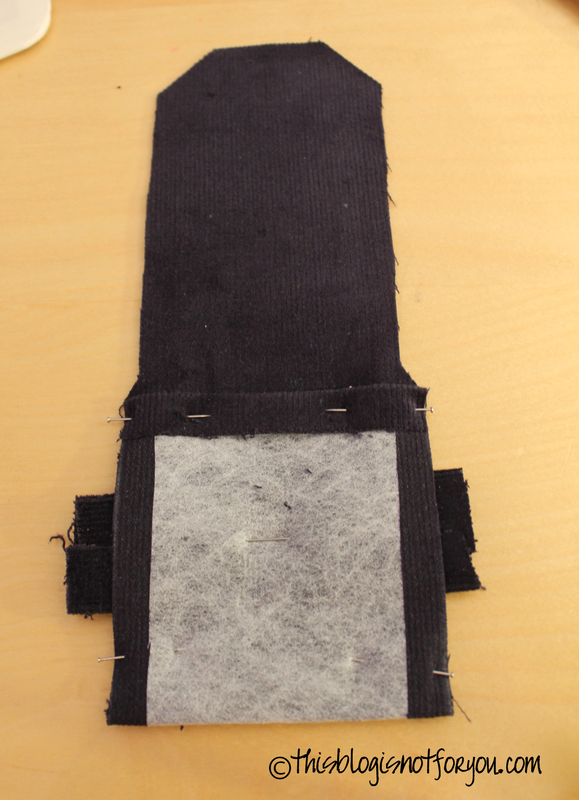 My workaround: Applying a loop for the flap. 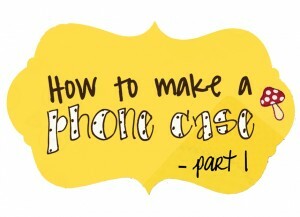 This way the fastening is flexible, and the exact height of the phone doesn’t matter. 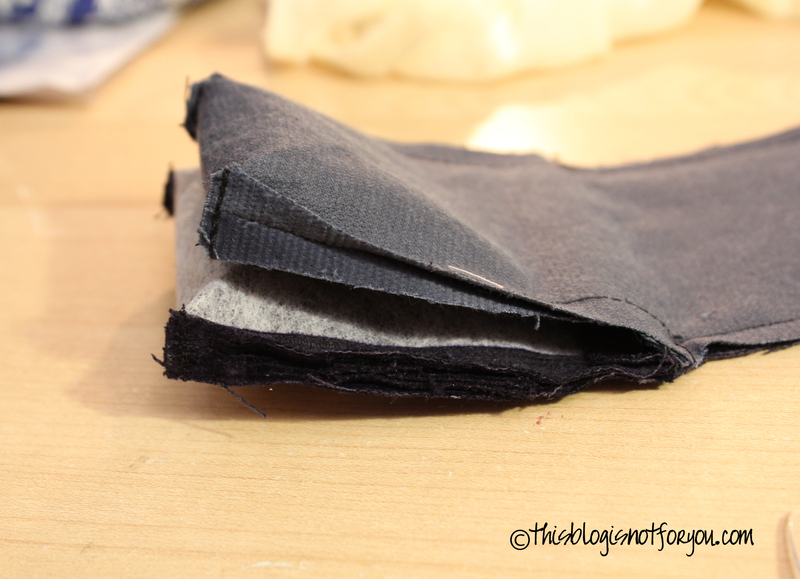 Fold and press the seam allowance on the bottom edge and prepare the “pocket” by folding over and pinning it (see pictures below) on both pieces of fabric. 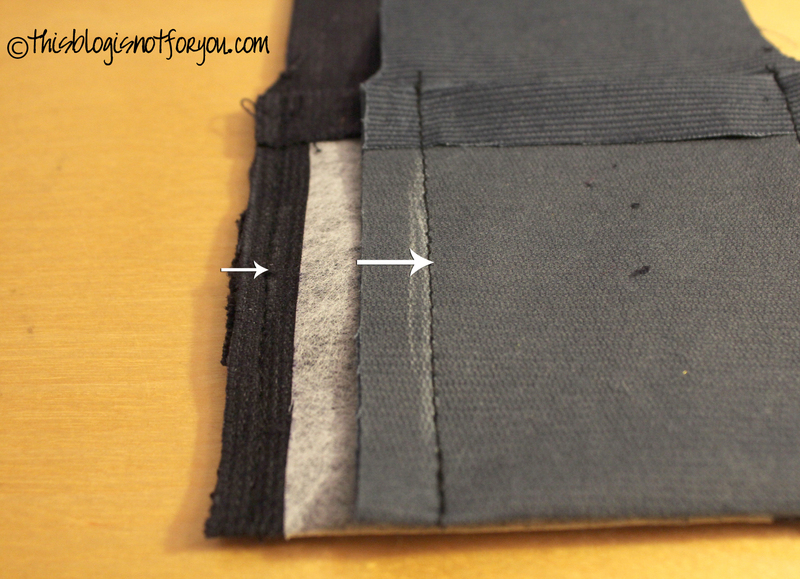 Try making the inner fabric pocket a little shorter than the outer one (see picture above). By putting it into the outer pocket later on it will otherwise stick out by a few millimeters and we don’t want that to happen. 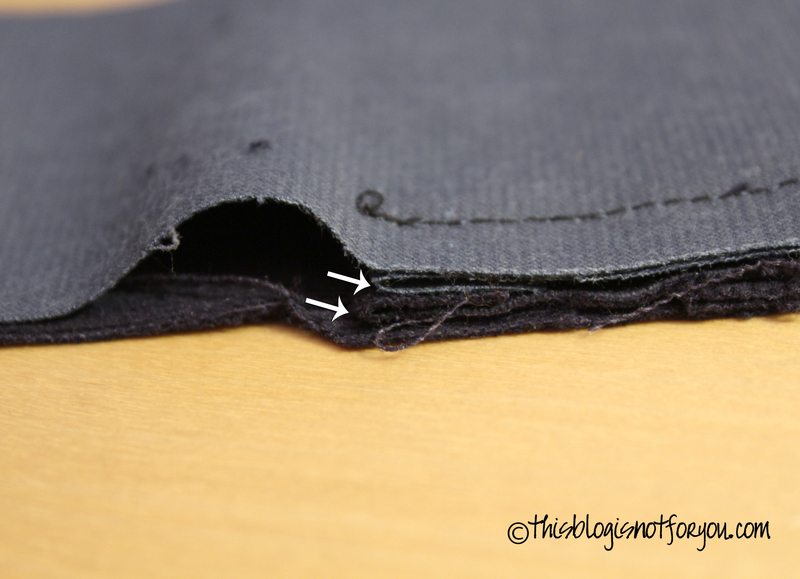 For the same reason make the outer fabric’s pocket a tiny bit bigger as well by using less seam allowance (see picture below). 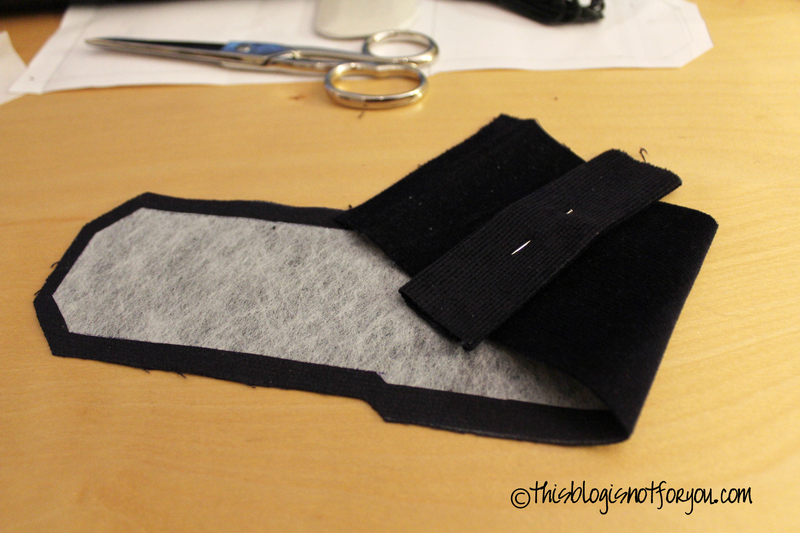 Now sew together the side seams of the pockets separately. Place both pieces on top of each other, right sides together. 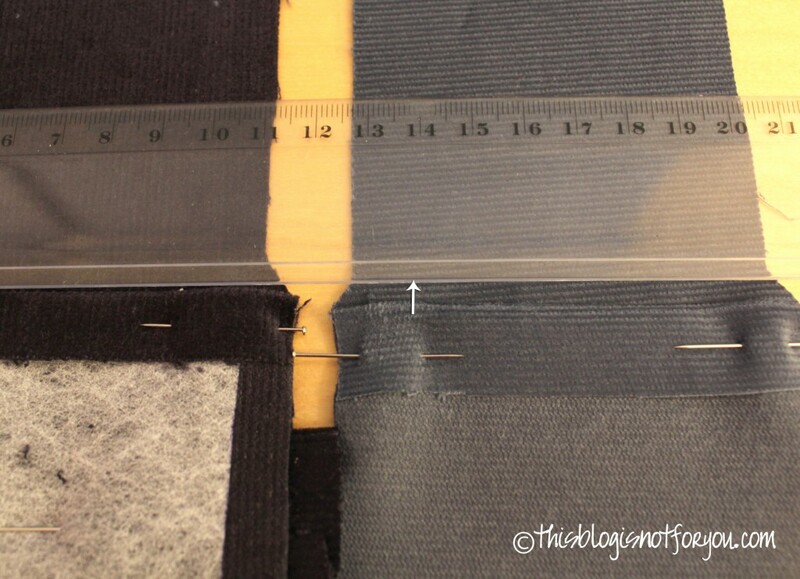 Before pinning, make sure the edge of the outer pocket protrudes by a few millimeters. 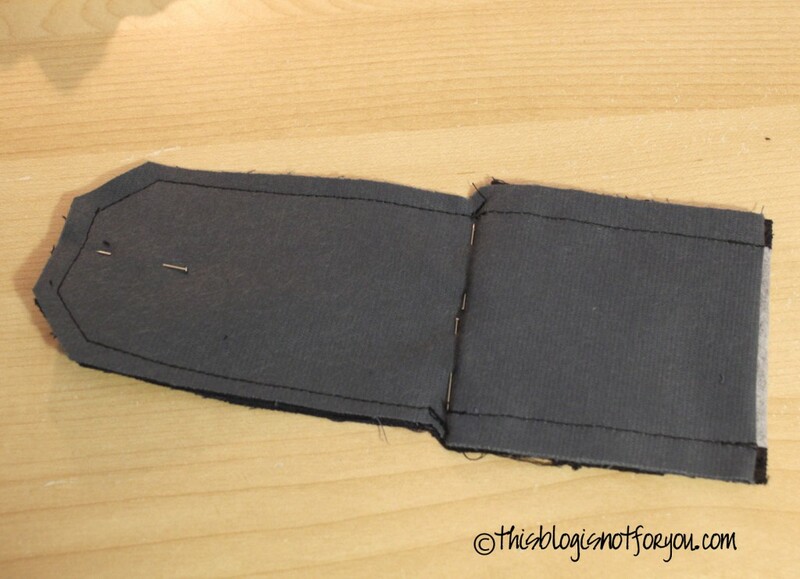 Sew together the two flaps. To give your phone case a bit more depth, you can box the corners. 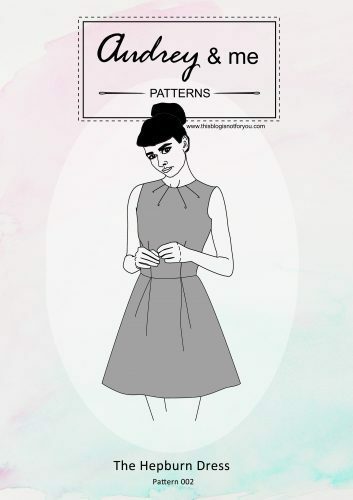 Flatten a corner so the side seam is in line with the bottom seam; the point where they meet is at the point of your fold. Determine the amount of depth you want which should be the same as the depth of your phone. In this case it was 1cm. 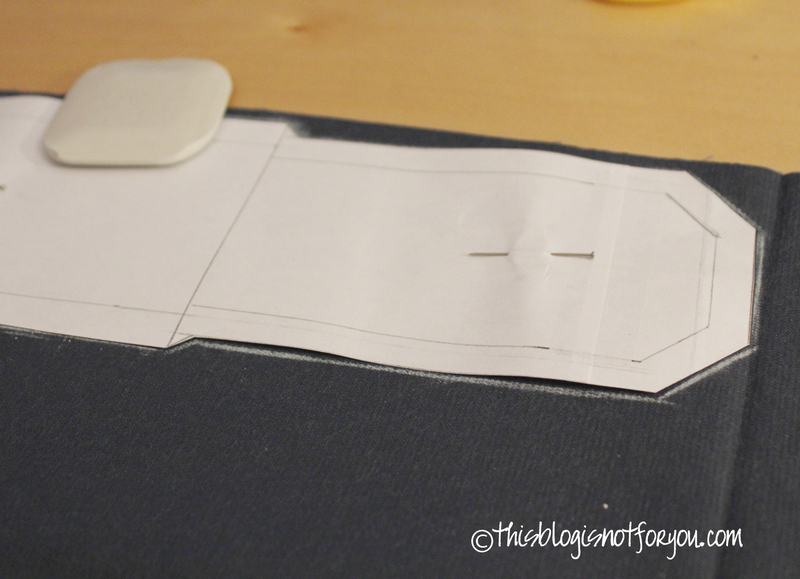 Mark and sew across the corner, perpendicular to the seams, as shown in the picture below. 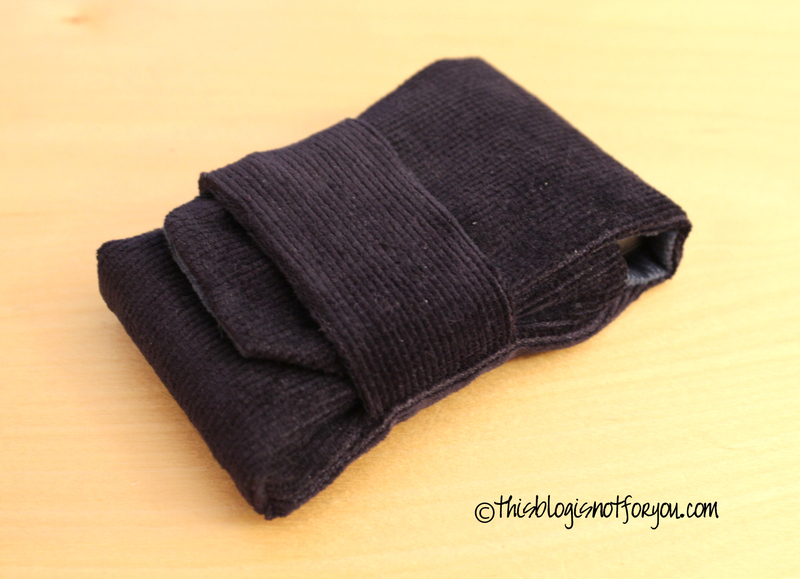 Normally you would fold this tuck down against the bottom seam, and hand-stitch it to the seam allowance, but in this case the pocket are quite small, so you can just cut it off. 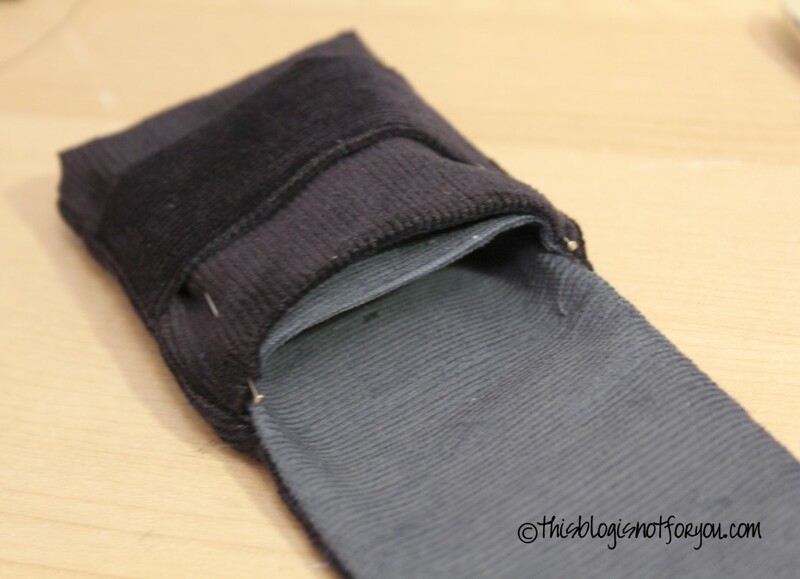 Do this with both pockets. Sew the inner pocket onto the outer pocket, use hand-stitching if your phone case is quite small. 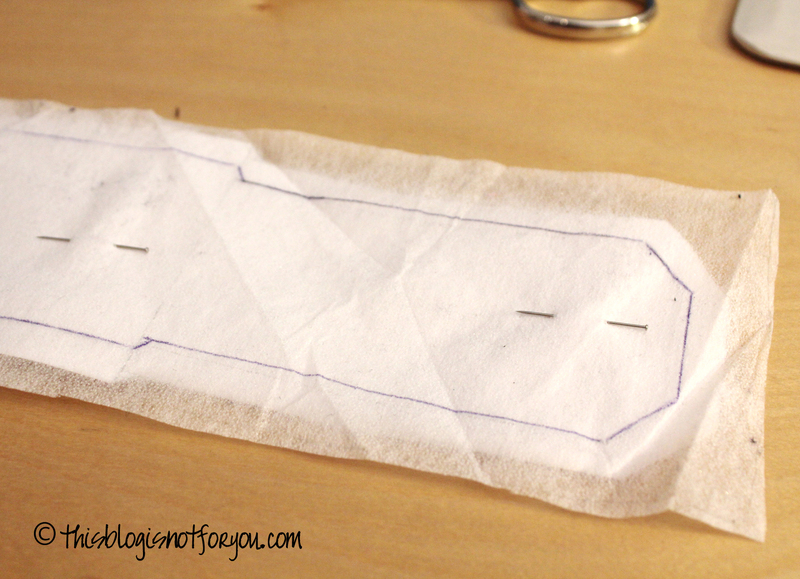 If you want, you can also stitch around the seams of the flap to give it a better shape. 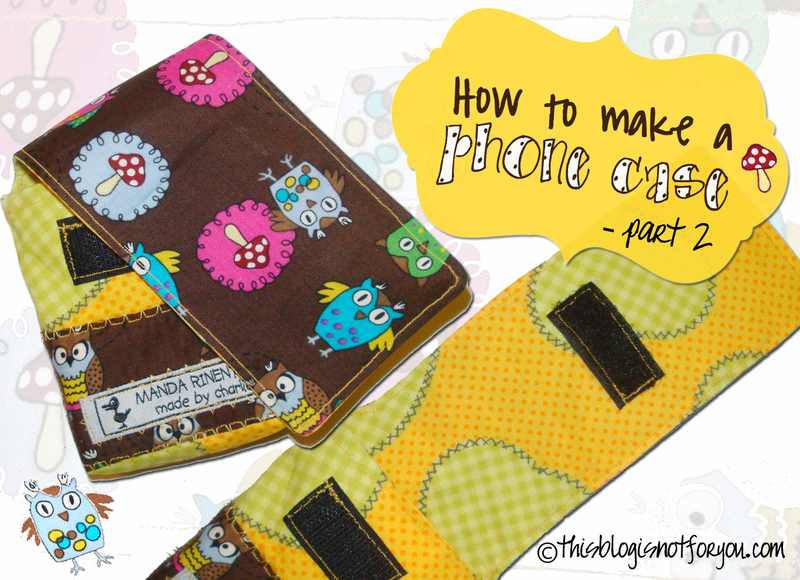 I didn’t do it in this case since the fabric was quite thick, but with the other one I did (see the first picture where I used the owl fabric). And then you’re done! If you have any questions or my instructions don’t seem clear at some points, please leave me a comment and I will answer as soon as possible! 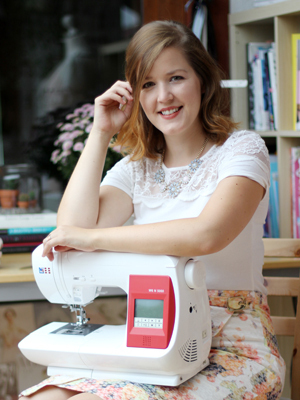 Have loads of fun sewing! Yes, it’s a pretty easy fun thing to do. It’s only complicated with really small cases. I’ll share more ideas in the future!